Researchers are making leaps and bounds when it comes to understanding our metabolism and what foods we should be eating to live a healthy, energetic life. It turns out that adopting a diet that helps your body run on ketones rather than glucose can significantly improve your health and prevent disease. Glucose is the main energy source when you eat a diet high in carbohydrates whereas ketones are produced when you restrict carbs and eat a high fat diet instead. The ketogenic diet focuses on priming your body to function in a state of ketosis, where your body is primarily burning ketones from fats rather than glucose from carbohydrates. A shift in the nutrition industry towards a low carb, high fat ketogenic diet could not only help our society’s obesity epidemic, but also treat several other chronic diseases as well. Since we are realizing just how powerful using ketones for energy can be, it’s important to educate yourself as to what exactly is a ketone. 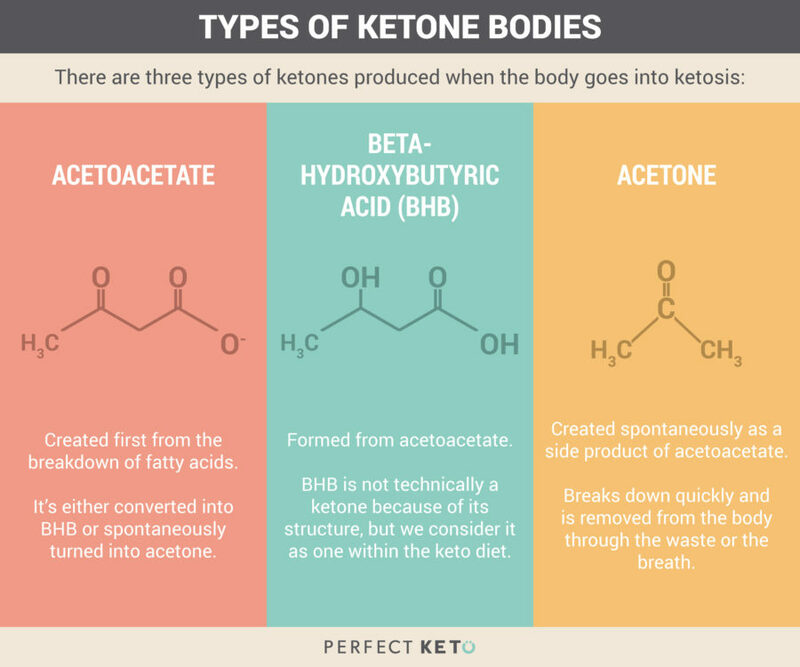 What Exactly Is a Ketone? Ketones, also known as “ketone bodies”, are energy molecules created by the liver from the breakdown of fats. Your body makes ketones when you don’t have access to carbs or enough glucose stores (glycogen). Although most people run on carbohydrates (glucose), studies are now showing that burning fats (ketones) for energy is the healthier alternative[*]. They are all made by the liver and used as energy when glucose isn’t present. Of the three ketone bodies, BHB is the one your body can use most effectively for energy. That’s why most exogenous ketones supplements are made out of BHB salts. AcAc is the precursor of BHB, although it can also be turned into energy. Both BHB and acetoacetate are directly responsible for moving energy from the liver into other tissues in the body. Acetone is simply a byproduct of making BHB and can’t be used for energy, so it’s excreted through your breath and urine. That’s why breath acetone levels can be used to estimate your level of ketosis with a breath meter. It’s also one of the possible causes of keto breath. Endogenous ketones are ketone bodies produced by your own body as a source of energy. Your liver makes these ketones by breaking down fat when you have restricted carbohydrates long enough. Think of it this way: endo=internal. Exogenous ketones are ketone bodies (mainly BHB) that can be consumed as a supplement to boost your blood ketone levels. They’re a great tool for getting into ketosis faster and priming your body to use fat for energy as a beginner keto dieter. Think of it this way: exo=external. During the hunter-gatherer era, our ancestors relied on ketones as the main source of energy. This happened because humans had to endure long periods without food and this fasted state depleted glucose stores and triggered ketosis (aka the breakdown of fat for energy) to help them survive until their next meal. In modern times, we can mimic these metabolic conditions to make ketones. Your body can burn two fuels for energy: carbs or fat. Carbs are converted into glucose whereas fats are converted into ketones by the liver. The process of turning fat into ketones is called ketogenesis. Whenever you stop giving your body a constant supply of carbs and glycogen stores are emptied — such as during a ketogenic diet, fasting, or intense exercise — your body seeks out stored or dietary fat to turn it into ketones for energy. The longer your metabolism burns fats for fuel, the more efficient it becomes at making more BHB and less acetone. BHB can be used for energy because it’s highly stable whereas acetone gets lost through respiration and sweat. When you become efficient at burning fat, making ketones, and using those ketones for energy, it means you’re fat-adapted. However, ketone production is only one fuel mechanism on the ketogenic diet. Your body still needs some glucose to satisfy a portion of your brain’s energy needs, as well as fuel tissues that can’t use ketones (like red blood cells and testicles). Regardless of how deep in ketosis you become, your body still needs some glucose to live. The brain needs small levels of sugar to sustain optimal energy levels and some cells need glucose because they can’t utilize ketones. Gluconeogenesis (GNG) is the process of making internal glucose from substrates such as lactate (from muscles), glycerol (from fat), and amino acids (from protein) to fuel these glucose-needing organs[*]. This internal conversion gives your body the right amount of glucose it needs when you are restricting carbohydrates. So even when you are cutting carbs almost completely on the ketogenic diet, your liver makes sure you are getting enough glucose in your blood through gluconeogenesis. Protein and Ketones: Can Eating Too Much Protein Kick You Out of Ketosis? A lot of people worry that eating too much protein on the ketogenic diet can kick them out of ketosis because of gluconeogenesis. As mentioned above, amino acids can be turned into blood sugar through GNG, so some “experts” have said that eating too much protein (giving your body more amino acids) will boost GNG, increase blood glucose, and reduce ketone levels. GNG is an extremely stable process. It’s not easy to increase the rate of GNG even with extra protein. Gluconeogenesis (making glucose from non-carbs) doesn’t work at the same rate as carbohydrate metabolism (making glucose from carbs). When you eat chocolate cake, your blood glucose spikes in response to that sugar in a small window of time. In short, stop worrying about eating too much protein on keto. Adenosine Triphosphate (ATP) is your body’s energy currency. The more ATP your cells make, the more energy you have to power through the day. Research shows that ketone-derived ATP generates more energy than glucose-derived ATP, which means running on ketones is better for your energy levels[*]. 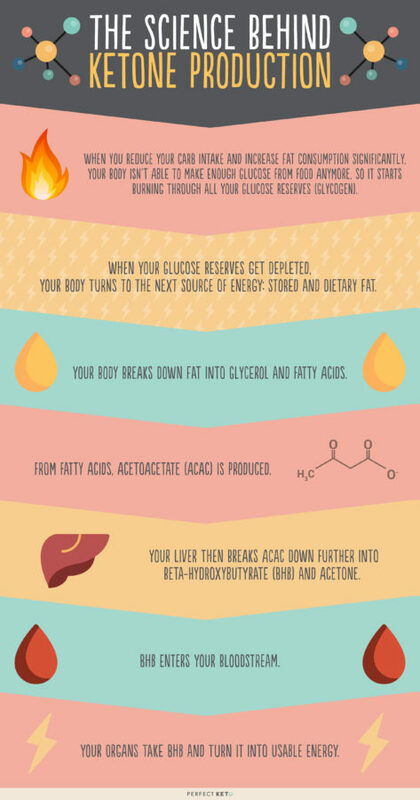 Additionally, using fats as energy stabilizes your insulin and blood sugar. This helps decrease inflammation and regulate hormonal function, including the hormones leptin and ghrelin, which control your appetite. When you start using ketones, you’ll notice you no longer feel hungry every two or three hours like you usually would on a carbohydrate-heavy diet[*]. Improved mental functioning. BHB is your brain’s preferred ketone body for energy. Studies have shown that ketone bodies (mainly BHB) help improve cognitive performance as well as reduce symptoms of Alzheimer’s and Parkinson’s disease[*][*]. Increased satiety. When running on ketones, you feel satiated for hours thanks to the regulation of the hormones ghrelin and leptin.[*]. Higher energy levels. Each gram of fat contains 9 calories, while protein and carbs only provide 4 calories per gram each, so you enjoy more energy from a high fat diet. In addition, ketone-derived ATP provides more energy to your muscles than glucose-derived ATP. This means endurance athletes like marathon runners can benefit from using ketones as their main source of energy[*]. Longevity. The process of making ketones increases the production of antioxidants and triggers anti inflammatory genes, which contributes to a healthier and longer lifespan. Better workout performance. When you exercise, your muscles absorb ketones faster, and ketones boost your muscle performance and increase fat loss. Blood glucose control. Using ketones for energy instead of glucose keeps your blood sugar in check and increases insulin sensitivity, which improves your metabolic function. Disease prevention. Thanks to the antioxidant and antiinflammatory effects of ketone production, your cells have more protection against neurodegenerative and metabolic diseases. Nutritional ketosis is what happens when your body uses ketones for energy efficiently and you experience the health benefits mentioned above, such as more energy, better focus, and lower inflammation. Ketoacidosis is not the same thing as ketosis. Ketoacidosis, also referred to as diabetic ketoacidosis (DKA), happens when the blood ketone levels of people with diabetes increase to unsafe levels (usually above 3 mmol/L) and insulin levels decrease dramatically. This usually happens to diabetics that stop monitoring their ketone levels. DKA is potentially lethal because it turns the blood too acidic, which affects organ function. If you’re not diabetic, your risk of reaching DKA is extremely low. 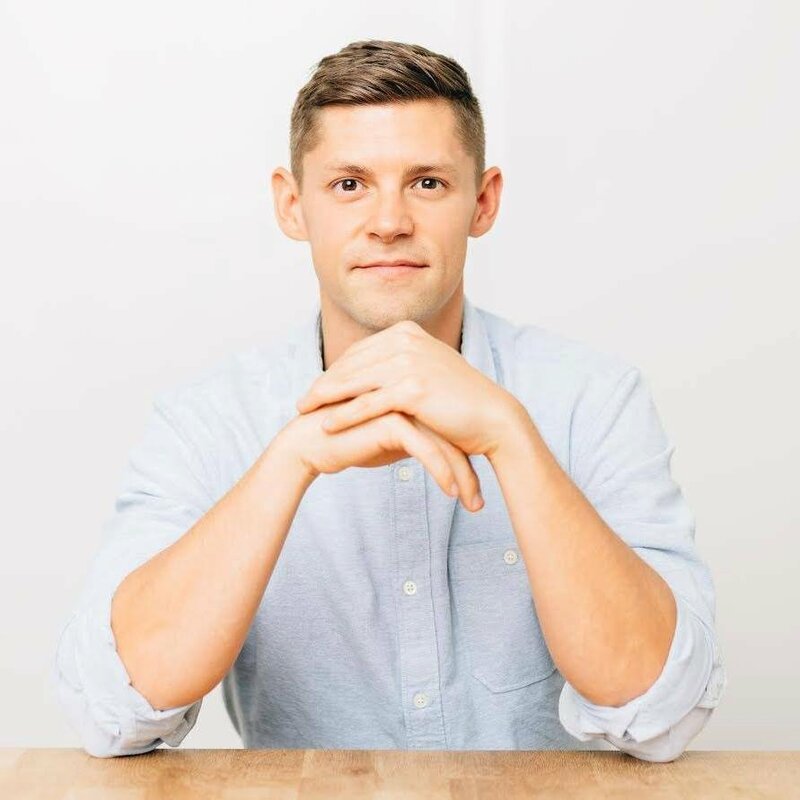 If you are interested in adopting a low carb, high fat ketogenic diet to experience the abundant health benefits, it’s important to test your ketone levels to make sure you are actually producing and using ketones for energy. There are three main tests you can do to see if you are properly using ketones for energy. Getting them done in a lab can be more accurate but also cost you more money. This is the cheapest way to test your ketones but the least accurate. You can buy ketone test strips at most pharmacies and it’s a great alternative for someone who is just starting out on the ketogenic diet. Urine test strips aren’t the most reliable because the longer you are in ketosis, the more efficient your body becomes in using ketones for energy. This means you’re no longer flushing out the ketones via urine, instead, your body is using them more effectively, so the readings in your urine strips will show lower levels of ketones. A blood meter is the most accurate way to test your ketones. The only downside is that it can be expensive if you test frequently, with the price tag going up to $10 per testing strip. However, if you value accuracy and can afford it, this method beats the rest. Since BHB ketones are transported through the blood, this is the most accurate way to monitor your ketone levels. Ketone breath meters such as Ketonix are a non-invasive way to test your ketones through the acetone levels in your breath. They are not as accurate as blood tests because there are several factors that skew the results such as drinking alcohol and the amount of water you drink. The research is clear on the efficacy of using ketones as the primary source of energy for your body. Running on ketones leads to increased fat loss, improved mental clarity, better mood, higher energy levels, a longer lifespan, and better workout performance. And even though the studies on ketones and the keto diet are recent, using ketones is nothing new. Our ancestors depended on ketones for thousands of years and babies are literally born in ketosis due to breast milk’s fatty composition. We evolved to run on ketones, and that’s why ketosis has so many health benefits. Using ketones is like putting premium fuel into your car instead of regular gas. They are the alternative fuel that your body runs better on. If you’re currently on a carb-based diet and you’re not feeling your best, you can benefit from switching to a better, cleaner fuel. Ketones transform how your metabolism works so you can optimize your health and well-being, as well as prevent chronic diseases like type II diabetes, Alzheimer’s, and the metabolic syndrome.